Mayo Designs: My first design: It's a Ghost Thing! 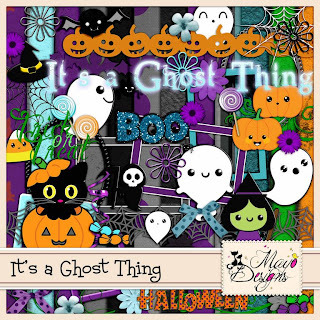 My first design: It's a Ghost Thing! And finally here it is, my first very own digital scrapbooking kit! Maybe a little early, but Halloween is coming up and I thought it would be a great subject for me to start with.You can buy it in my shop for $5,00. There's a freebie for this kit coming soon, so keep checking back here :).